Gellerupparken certainly doesn’t have a reputation for being one of the most desirable locations in Denmark to live in. For years it’s been plagued by a high frequency of unemployment, low-education and crime, and it has long featured on Denmark’s controversial ‘ghetto list’. But that could all change in the not too distant future. 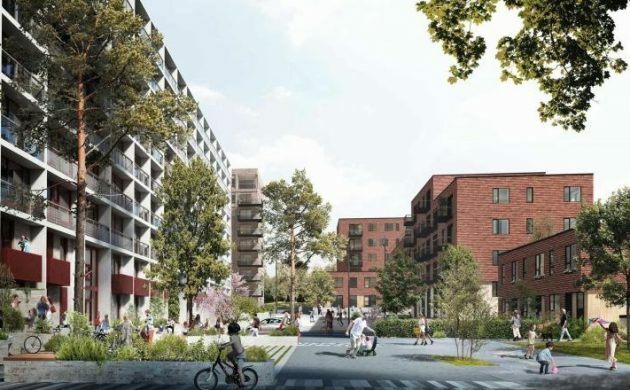 The Danish pension firm PKA has revealed it intends to invest 350 million kroner into the beleaguered Aarhus district by developing 188 homes to make it more attractive for people with more resources at their disposal. “We see great opportunity in the visions for Gellerup, which is already turning into a dynamic city district. It’s a robust investment that will not only give our members a solid return, but will help support the development of the area into a lively city district with greater diversity or residents and homes of a good quality,” said Michael Nellemann Pedersen, the head of investment for PKA. The 188 homes being developed are all 100 sqm in size and expected to be finished by 2020. Gellerup is already brimming with activity. The area will see a new city park with 27 football pitches open this year, and next year a new municipal building will be erected for 1,000 employees. Moreover, 345 youth homes are being developed, while the district’s Sport and Culture Campus is expected to attract 600,000 guests annually by 2022. The area will also be connected to Aarhus in terms of infrastructure when the city light rail links up there in the near future.